Figure 3. Creation of presence/absence variants (dimorphism) by the integration of an Alu element. 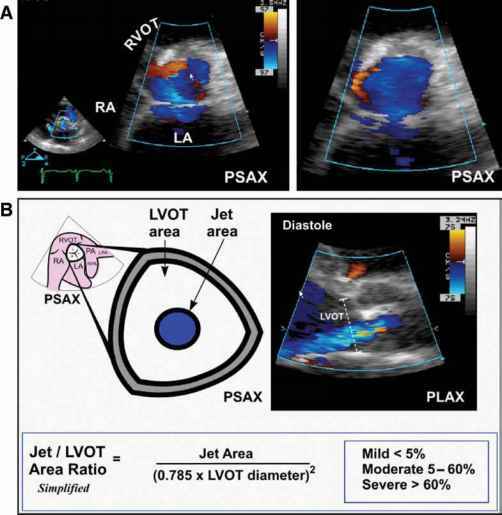 The Alu increases the gene size by 300 bp. integrations predating the origin of placental mammals. Most recent Alu and L1 integrations in the human genome generate insertion presence/absence variants that are referred to as dimorphisms. Dimorphisms provide DNA markers useful in mapping studies, fingerprinting, and human population investigations. Retrotransposon integrations are also associated with human disorders. Examples include Alu integrations into NF1, factor IX, and BRCA2 genes yielding neurofibro-matosis, hemophilia, and breast cancer, respectively, and L1 integrations into the c-myc, APC, and factor VIII genes cause breast cancer, colon cancer, and hemophilia, respectively. Horizontal transfer of TEs, or the transmission between species, has also been implicated. General evidence involves the lack of phylogenetic correspondence between the TEs and their host organisms. For example, outside of the Drosophila melanogaster species group, jockey has been detected only in the distantly related D. funebris, suggesting that it was transferred between the two. P elements have also exhibited horizontal transfer, possibly from D. willistoni to D. melanogaster, but more importantly, strains of D. melanogaster are lacking the element, indicating recent spreading through populations. Additionally, insect-related mariner elements, characterized primarily by their transposase, have been identified in diverse organisms such as flatworms and hydra, yet are lacking in twenty other invertebrate species representing major phyla. These transfers are both ancient and relatively recent, as one element has 92 percent amino acid similarity between Hydra and a staphylinid beetle. Possible transmission vectors include parasites (such as mites) and viruses. Some evidence also exists for horizontal transfer of mammalian TEs, including the putative discovery of an Alu element in the malarial parasite Plasmodium vivax. Figure 4. Identifying genes using transposable elements (TE). 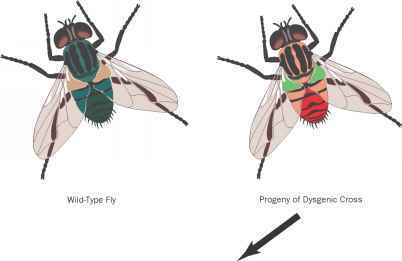 A dysengic fly with a randomly incorporated mutation is generated. DNA is isolated to produce a library which is screened with the TE to identify the mutated gene.